One thing said first- I love smoothies. They are quickly made, super healthy and a perfect breakfast on the go. It is quite surprising how long a good smoothie keeps you filled up and they really help eating your five portions of fruit and veggies a day. Actually I’m more of the summery smoothie type. I like the ones with exotic fruits and coconut milk best, but in winter this seems somehow inappropriate. Therefore I experimented a bit (and messed up my kitchen) and here is what came out: a delicious smoothie with yellow beet and one with red beet! First you peel the mango with a vegetable peeler and cut the pulp off the pit. Afterwards you peel the yellow beet and the bananas. Now you have to cut your fruits and veggies. The size of your chunks depends on your blender: the more power it has, the bigger they can be. Now you can juice the oranges. 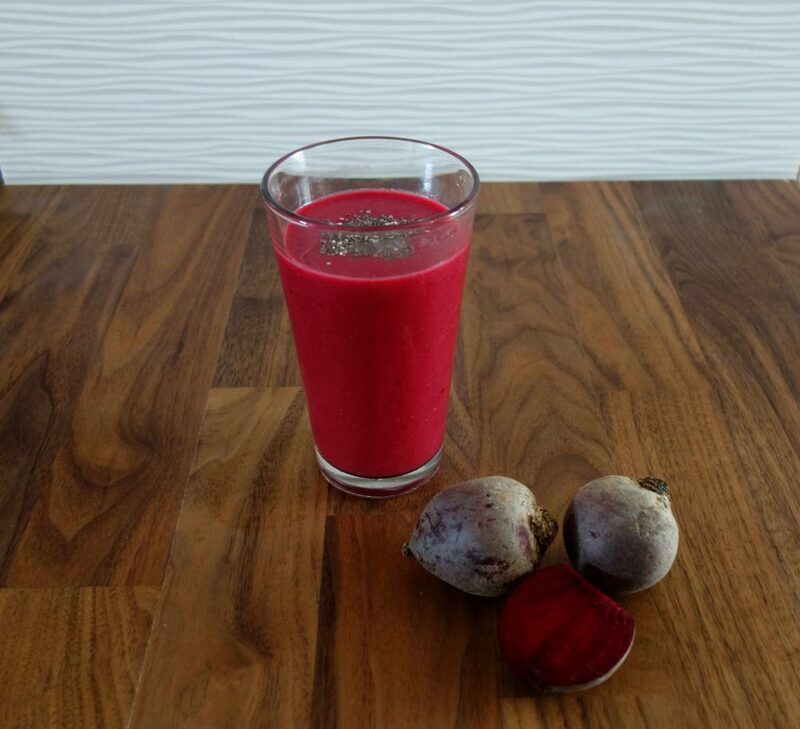 Pour the juice in your blender, add the fruit and veggie chunks and blend it for a minute. If the smoothie is too thick, just add some water. 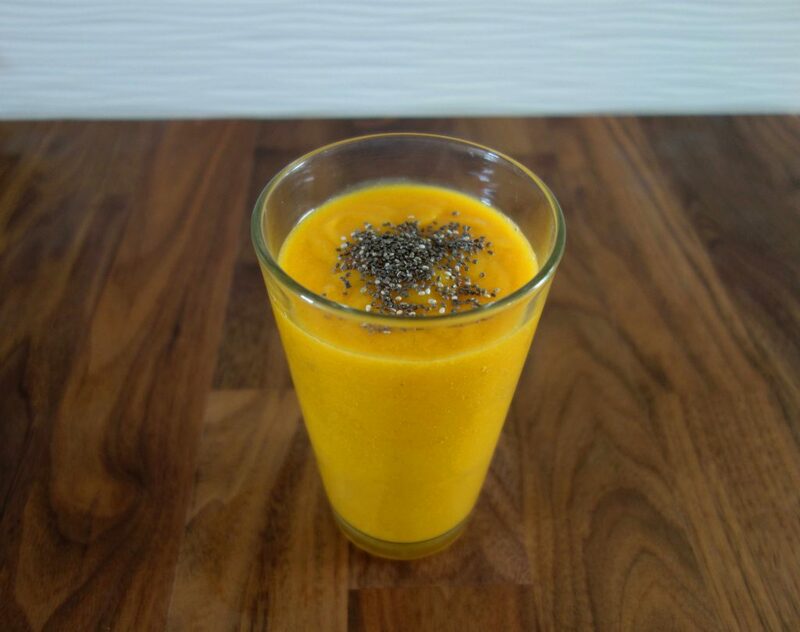 Pour it into two beautiful glasses, top with some chia seeds for protein and enjoy! First, you peel the red beet and cut it into pieces. Please wear gloves as the red beet stains a lot. Next you peel the bananas and wash your berries. In winter I do actually tend to buy frozen berries, because they are cheaper. If you use frozen berries, you won’t have to wash them 😉 Put everything in your blender and pour in as much plant-based milk of your choice as you like. I prefer oat milk for the winter months, but any one works. When your smoothie has the right consistency, pour it into two beautiful glasses, top it with some chia seeds and enjoy!